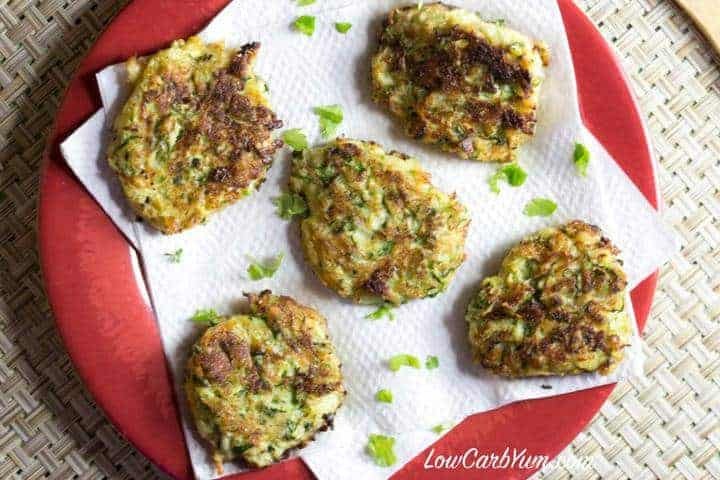 You will love these healthier low carb coconut flour gluten free zucchini fritters. 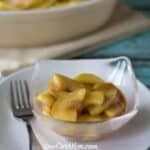 Serve them as an appetizer or a side to compliment your meal. I’m not very good a planning and many times I get very disorganized. I think it’s because I try to do so many things at once. I like to keep myself really busy and I typically just do things as I go. I’ve never had a great memory either so I tend to forget what I need to do which is how I ended up making these gluten free zucchini fritters. I’m the kind of person who NEEDS to write things down in lists. I’ve tried so many times to get organized and have my lists typed up on my iPhone. It never seems to work out and I have to rely on what I can remember. One of the things I really need a list for that rarely happens is grocery shopping. My husband knows he needs to write a list if he expects me to buy certain items for him. Otherwise, I’ll just buy the things I remember that I need. I often buy items at the grocery store thinking that it will be good for a particular use, but end up forgetting and then using it for something else. Here’s a perfect example: I bought a couple organic zucchini planning to use them for zoodles. But, I ended up make low carb coconut flour gluten free zucchini fritters instead. I suppose it’s not always a bad thing that my mind is constantly shifting gears. 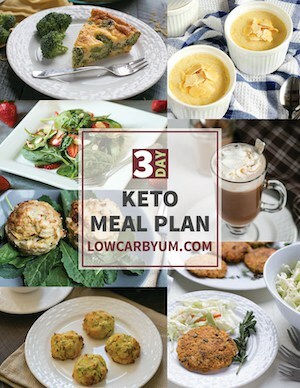 Otherwise, I wouldn’t have discovered these super yummy low carb fritters. I ended up making these coconut flour zucchini fritters for breakfast last weekend to serve with some eggs. They are a very nice alternative to breakfast potatoes. 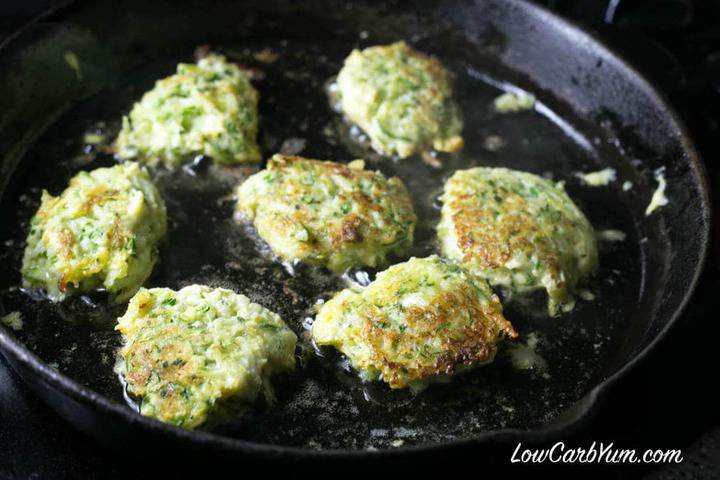 You could probably serve these gluten free zucchini fritters alone as they are pretty filling. I ate three of them with a scrambled egg. The leftovers were great work day breakfasts. I didn’t even bother heating up the leftovers. 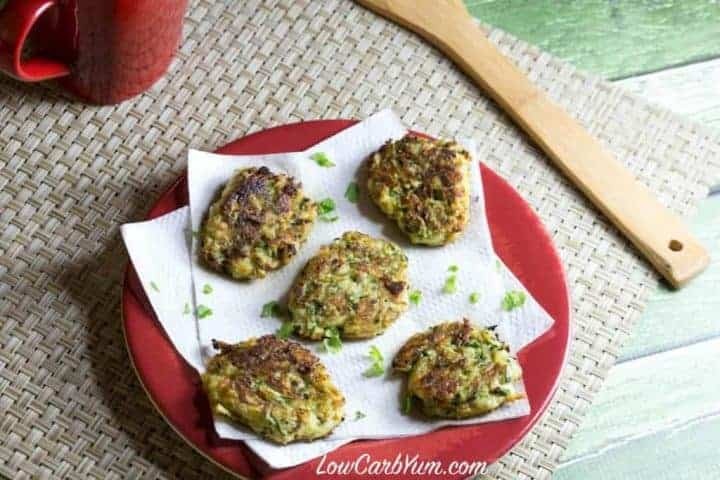 These low carb zucchini fritters are delicious straight out of the refrigerator. I threw them in my cooler bag and ate them cold when I got to the office in the morning. 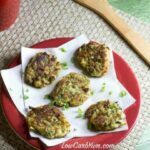 You may even be able to sneak some vegetables into your kids with these coconut flour gluten free zucchini fritters. There is a hint of green from the zucchini, but you can always tell them its a spice herb. My youngest daughter enjoyed these fritters, too. Check out my zucchini spice cupcakes and chocolate zucchini cake for other delicious ways to get your kids to eat zucchini. 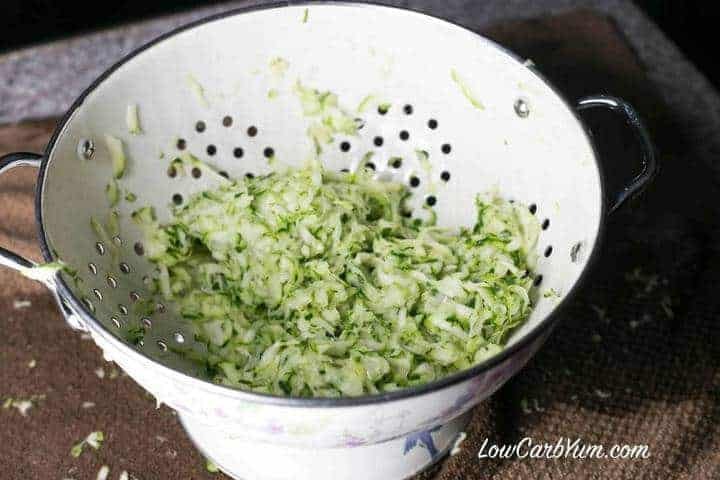 Grate the zucchini into a colander, toss with the sea salt and allow to drain 10 minutes. 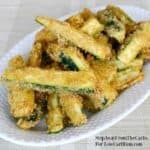 Dump zucchini into a clean kitchen towel. 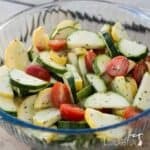 Wrap towel around zucchini and gently squeeze over sink to remove excess water. 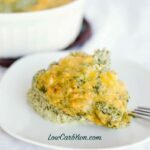 In a large mixing bowl, combine zucchini, eggs, parmesan cheese, coconut flour, parsley and garlic powder with a spoon. Set batter aside. Heat about 1-2 tablespoons olive oil in large skillet. 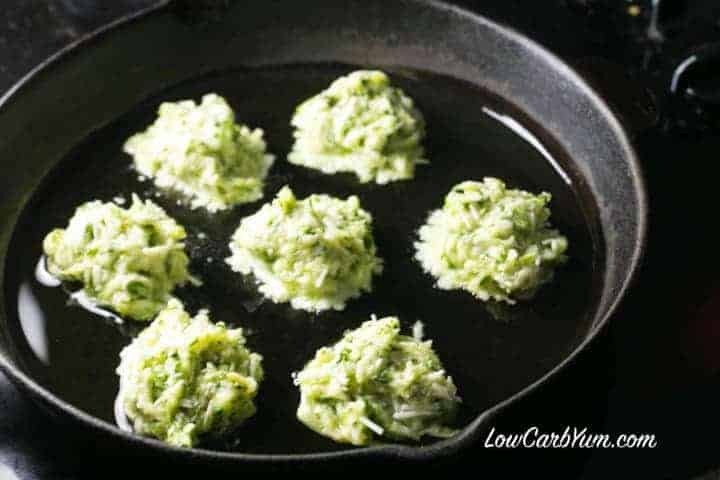 Drop spoonfuls of zucchini fritter batter into hot oil. Fry each side until browned, flattening with spatula as you go. When both sides are nicely browned, remove from pan and drain fritters on paper towels. Looks like a great recipe! I wonder why so many recipes use onion and garlic powder instead of the real thing? At least consider listing the fresh ingredients as an option — or list the powders as an option. For me, it’s convenience. I find it easier to use. However, you always have the option to use fresh. Thanks Lisa. Convenience is always appreciated ! With respect to kids and their texture preferences – that makes total sense! I made these for lunch today. So quick, came out perfectly and were absolutely delicious! Thank you!! Just made this— delicious!!! I really squeezed out the water hard, not lightly, to remove as much water as possible. I also used regular old park in the shake plastic container (shelf stable), not fresh Parm. I used about half a cup, and upped the coconut flower by a heaping TB. I too added a small amount of diced garlic. Mine held together beautifully! I used my ceramic pan, at med-high (a little higher than medium), and the browned beautifully and cooked through- you do need to flatten them after you drop them onto the pan. Made this today. They were delicious!! i added 1/4 tsp psyllium seed powder to help with the binding and 1/4 tsp Braggs Seasoning., b/c we love it! Herbs de Provence would also be delicious….whatever your family likes, right? Big hit! I’m thinking of making a big batch of these and bake them on parchment paper. . . I used a newly seasoned cast iron so sticking was a little problem so I just left them alone till they formed a crust and used a better spatula( NOT silicone) to flip. 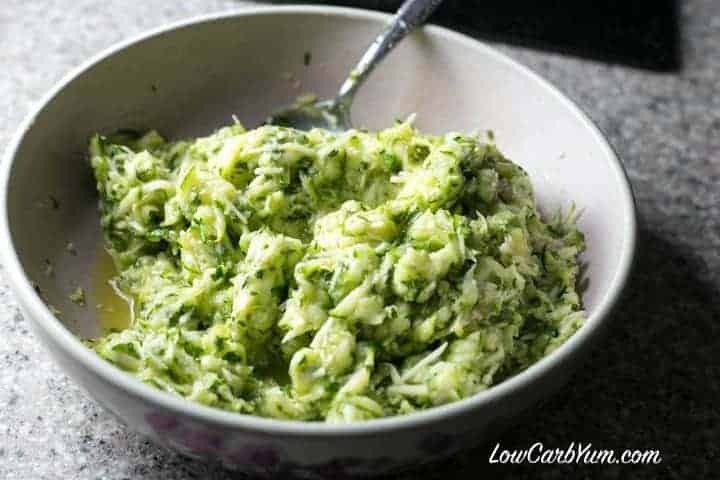 I added all the dry ingredients and mixed the squeezed zucchini and egg together first, then I added the dry ingredients. Letting the coconut flour in the recipe soak up the moisture for about ten minutes probably would also help with consistency. Cooked them in ghee. Thank for a great blog! Thanks for sharing your tips Marie! We made these again adding canned salmon[15oz]. Added bay seasoning. Just great. No parm. 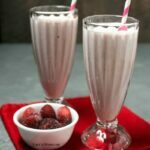 It’s no dairy week around here… for some, anyway! Sounds great! I’ve been avoiding dairy myself. I tried a similar recipe today (adapted from a wheat flour version with 100g of wheat flour replaced by 40g of coconut flour and a couple of additional eggs. 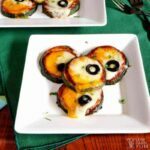 The recipe specified more zucchini, half a red onion and a different cheese. Even though coconut flour sponges up a lot of liquid, the result was too wet to cohere very well unless fried on a low enough heat to dry the mix out without burning the surface. It also helped keeping early batches in a warming oven while the later ones were fried. The parmesan is a really smart idea (much drier cheese) – I’ll give this recipe a go! Hope it works out for you! You can usually adjust the coconut flour and or liquid as needed to get the batter just right with this one. You don’t sound like any type of engineer. Your measurements aren’t even stated. Two “small” zucchini? Seriously? Gurl, the sodium LOL. For 4 tiny fritters you’re using 64% of your day’s allotment of sodium. 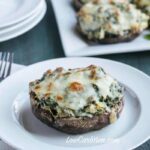 Why bother eating low carb if you’re going to do that? 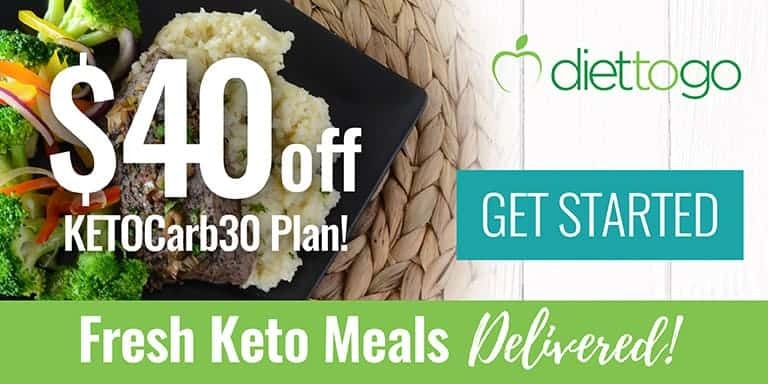 You may be eating low carb but you’re not eating healthy. 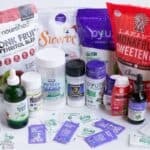 There are many views on what healthy is. The small zucchini are typically about 8 inches long and not very wide around. I’ve started to use weight and cup measurements. Will fix that. i had a really hard time with this recipe , they did not stick together at all. It’s the egg and coconut flour so maybe a little more of both is needed? Mine just cooked by the spoonful in a pan. These were awesome! No dairy for us so I left out cheese. I added sweet corn because I had leftover on the cob. I didn’t even add all the salt and it was plenty! Subbed green onion and fresh garlic for seasoning ’cause it was on hand. Plenty of oil for frying. Thanks for the recipe! Thanks for sharing how you enjoyed them! Had these last night and they were delicious. I have a glut of zucchini so can I make up fritters, freeze them and cook up when needed or would it be better to cook first and then freeze? This was a big mess. These didn’t stick together at all. 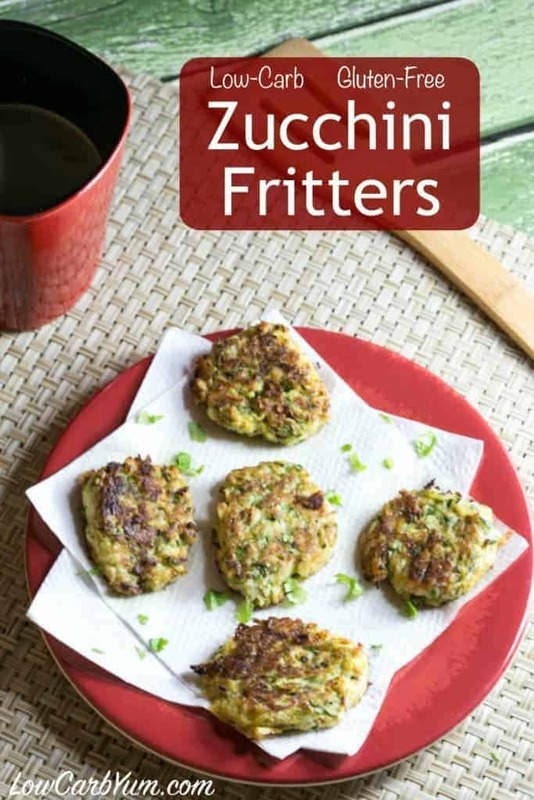 I’ve made zucchini fritters before and they turned out fine. Not sure what was wrong with this recipe but the lack of measurement may have been an issue. I had a large zucchini and tried to figure out how much of it to use to equal 2 small zucchini. I think giving the recipe in cups would have been a lot better. It’s held together by the egg. A large zucchini is likely equal to more than 2 small zucchini. Will consider measurements. Good but way too salty. Next time I will only use 1 t.
I can add a note to salt to taste as it’s a personal preference. These are so simple and so delicious! 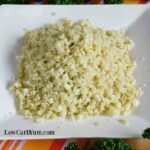 To make them dairy-free, I used a common homemade vegan Parmesan cheese substitute consisting of ground cashews and nutritional yeast. They turned out great – I had to control myself from eating them all at once! Thank you for the wonderful recipe! I’ve been wanting to try those dairy-free nut-based cheeses. Glad this recipe worked well with the homemade vegan parmesan. Can these be made without the floor? The only flour I have is flax. It’s not a lot of flour, but does help with texture. So, it may work, but texture will be different. These are amazing! Thank you so much for the great recipe. We had them as a side to pesto chicken fingers tonight and we were amazed at how satisfying and filling they were. We are dairy free so will these taste okay without the parm cheese? You may want to add in a little more seasoning, but otherwise should be fine. They all stuck. Now I have an unusable mess. Did I do something wrong? Followed to a tee. What kind of pan did you use? Mine was a seasoned cast iron. Can this be baked? At what temp and how long? You could probably bake it at 350-375F until browned. Having difficult time figuring out how much grated zucchini needed. 2 small zucchini about a cup after draining and squeezing? You don’t need an exact measurement for this. I’d say a little over 2 cups of shredded zucchini before draining and squeezing. Can you use almond flour instead of coconut flour? I am out of coconut and I would rather not pack the kiddos up to go to the store. Thanks! These look delicious! I believe you can, but you’d need to adjust for it.